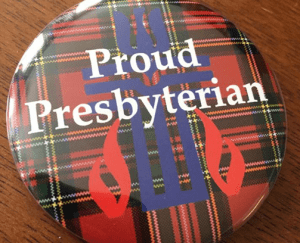 David began his pastorate at First Presbyterian in August of 2018, and he serves our church as Interim Pastor while we seek our next Installed Pastor. Emily was born in Carmel, Indiana and spent her first 12 years of childhood as a Methodist in Indianapolis. In 2002, Emily moved with her family to Scottsdale, Arizona. There, they immersed themselves in the life of Pinnacle Presbyterian Church. Jacqui Horton is a Virginia Beach native who graduated from First Colonial High School, attended Old Dominion University, then traveled to Greensboro, N.C. to achieve her BA in Religion from Greensboro College. The Rev. Lyndsey McCall received her bachelor’s degree with an emphasis in Applied Ministries from St. Andrews Presbyterian College in 2007. In the fall of 2007 she began her studies at Union Presbyterian Seminary in Richmond, VA and earned her Master of Divinity in 2011. Randy grew up in Norfolk, Virginia. 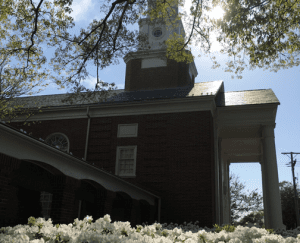 He graduated from The College of William & Mary in 1975 and the University of Richmond Law School in 1977. 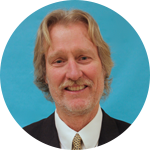 Randy was a trial lawyer in private practice in Tidewater from 1979 until June 2011 when he retired from active practice. He is a Commissioned Pastor in the Presbyterian Church (USA) and has served as Director of Missions since April 2014. 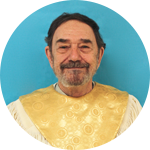 David Kunkel joined the staff as organist at First Presbyterian in 1981 following a career as a Navy Bandmaster. In 1987 he was appointed Music Director. During his tenure the church has begun a graded choir system for children, purchased and begun a handbell program, begun an active concert series and replaced the aging Sanctuary organ with a 70 rank Reuter instrument in 2005. He also served as Church Administrator from 1989 to 2002. Belinda has served at several churches as an organist and choir director since 1972 and has been directing handbells since 1989. In 1996 she became Director of Handbells at First Presbyterian Church and Director of Children’s Choirs in 1999. Antoinette received early musical training from her mother. Formal lessons began at age four (piano) and eleven (organ). 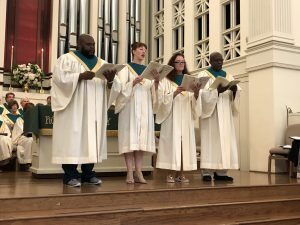 She has held various church positions since the age of twelve, when she became Assistant Organist at Winfield Methodist Church in Little Rock, AR. Antoinette holds the DMA in Organ Performance from the University of North Texas, where she was a Teaching Fellow. David grew up in Knoxville, Tennessee, graduated from the University of Tennessee, and he is a big UT football fan! He graduated from Columbia Seminary with a Masters of Divinity, and later earned a Doctor of Ministry from McCormick Seminary. He and his wife, Zoe, are the parents of two children. His daughter, Merritt, is a Senior at the University of Tennessee, and his son, Hunter, is a Sophomore at Appalachian State University. After college, David worked for over eight years in Medical Sales, but finally answered a persistent call he felt into the ministry. A life-long Presbyterian, David enjoys preaching, teaching, and all forms of church fellowship. Emily was born in Carmel, Indiana and spent her first 12 years of childhood as a Methodist in Indianapolis. In 2002, Emily moved with her family to Scottsdale, Arizona. There, they immersed themselves in the life of Pinnacle Presbyterian Church. Emily graduated in 2012 from the University of Arizona, Tucson, with a B.A. 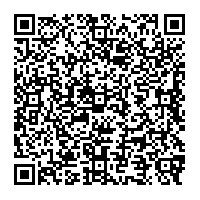 in Psychology and minors in German, religion, and sociology. She went on to study at Austin Presbyterian Theological Seminary, Austin, Texas and graduated in 2015 with a Master of Divinity. Upon graduation she became a Lilly Resident Minister at First Presbyterian Church of Ann Arbor where she flourished as a young pastor amongst peers and leaders in the church. Emily’s greatest joy in ministry is the privilege of growing in relationship with those she ministers to. Through her work in pastoral care, Emily has enjoyed getting to know the amazing children of God, their faith, stories, fears, and hopes. Her ministry is enhanced by her blind therapy dog, Bandit, who makes pastoral care visits with her. Bandit was passed to Emily in her grandfather’s will on Christmas of 2011 and has been a blessing in his ability to bring joy, calm, and love to those who need comfort. In her spare time, Emily can be found hiking, painting, playing trumpet, or swing dancing. Emily’s hope is that the church will always seek to draw closer to God, following in the way of Jesus Christ, moving with compassion, kindness, and grace. Jacqui Horton is a Virginia Beach native who graduated from First Colonial High School, attended Old Dominion University, then traveled to Greensboro, N.C. to achieve her BA in Religion from Greensboro College. For twenty five years she served as Director of Christian Education and as Youth Minister in churches located in Virginia, North Carolina, and Oregon. She has a passion for storytelling, creative writing, and Biblical teaching for all ages. She feels a strong calling to help individuals identify and grow their talents by enabling them to serve church and community in fulfilling ways. Jacqui says “A-ha!”, is her favorite word because it evokes images of wonder, discovery, and joy as we seek a closer relationship with God and one another. Jacqui is proud of her young adult daughter Kelly, who resides locally. 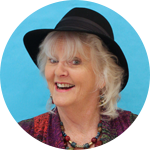 Her hobbies include cooking, needlework, reading, music, learning about and laughing with people. The Rev. 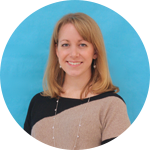 Lyndsey McCall received her bachelor’s degree with an emphasis in Applied Ministries from St. Andrews Presbyterian College in 2007. In the fall of 2007 she began her studies at Union Presbyterian Seminary in Richmond, VA and earned her Master of Divinity in 2011. Since graduation from seminary, Lyndsey has served as a chaplain in a retirement community, worked for three small rural churches, served as a Christian educator and an After School Director, as well as the Presbytery of the James Youth Ministry Coordinator. 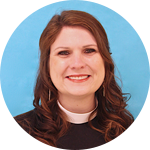 Before Lyndsey came to First Presbyterian Church, she was called and ordained in April 2014 as the Director of Monroe Camp & Retreat Center paired with a position as Director of Christian Education at Laurinburg Presbyterian Church. Lyndsey is particularly passionate about Youth and Camp/Conference Ministry, since these ministries were formative to her faith journey. In Lyndsey’s spare time she enjoys staying busy by visiting family on Lake Gaston in VA, spending time with friends in Richmond, VA, and attending conferences for her continued education. Lyndsey loves to travel to new places and adding pins to her world map after a trip. On her bucket list, she would love to travel to all 50 states and to as many countries as possible. Lyndsey’s dream destination is Bora Bora but feels extremely blessed to have traveled already to Canada, Mexico, China, Korea, Scotland, England, Ireland, Spain, France, and Italy. Randy grew up in Norfolk, Virginia. He graduated from The College of William & Mary in 1975 and the University of Richmond Law School in 1977. 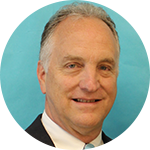 Randy was a trial lawyer in private practice in Tidewater from 1979 until June 2011 when he retired from active practice. He is a Commissioned Pastor in the Presbyterian Church (USA) and has served as Director of Missions at First Presbyterian since April 2014. In 2006 Randy made a mission trip to Biloxi, Mississippi with a group from First Presbyterian to assist victims of Hurricane Katrina. In 2007 he organized the church’s first foreign mission trip to Chiapas, México where the group worked with the Tzeltal-speaking indigenous people through Hebron USA, a Christian mission organization. Thus began a life-changing reorganization. In the ensuing years, Randy has worked frequently in Chiapas, spending five to seven weeks annually every summer except one beginning in 2009 in residence in Chiapas coordinating mission trips for Hebron USA. He currently serves on the Board of Directors of Hebron USA and served as President of it from March 2013 until the end of 2017. In 2018 he led the church’s first mission trip to Cuba. We are now in a Covenant relationship with the Presbyterian Church in San Nicolás, Cuba. His other activities have included Music Director of the Norfolk Savoyards, Music Director of the Virginia Musical Theatre, and Music Director for the Virginia Ballet International. In May of 2015 he retired after 35 years as the founding Music Director and Conductor of Symphonicity, The Symphony Orchestra of Virginia Beach. He has been married to his wife Pat for 53 years and has 3 children, 4 grandchildren, and one great grandson and a golden lab named Finn. He resides in the rural Southern section of Virginia Beach. Belinda has served at several churches as an organist and choir director since 1972 and has been directing handbells since 1989. In 1996 she became Director of Handbells at First Presbyterian Church and Director of Children’s Choirs in 1999. 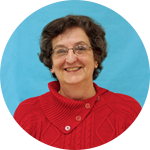 Belinda is a member of Handbell Musicians of America and has attended numerous AGEHR conferences to master handbells. In 2004, she received a certificate of Church Music from Virginia Wesleyan College. She is married and has two wonderful children. 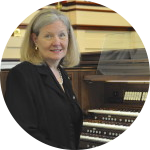 Prior to moving to Virginia Beach, she was the Organist and Choirmaster at St. Mary’s Episcopal Church in Kinston, North Carolina, serving the Diocese of East Carolina for a number of years on the Commission for Liturgy and Music, the Spiritual Resources Commission, and the Schola Cantorum. From 1990-1992 she was the Dean of the East Carolina chapter of the AGO.